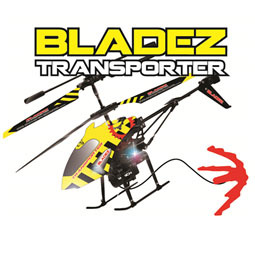 The Bladez Target Missile is the most sophisticated remote control helicopter on the market. It comes with LED lights and a very slick design...oh, and it can shoot up to 6 missiles! 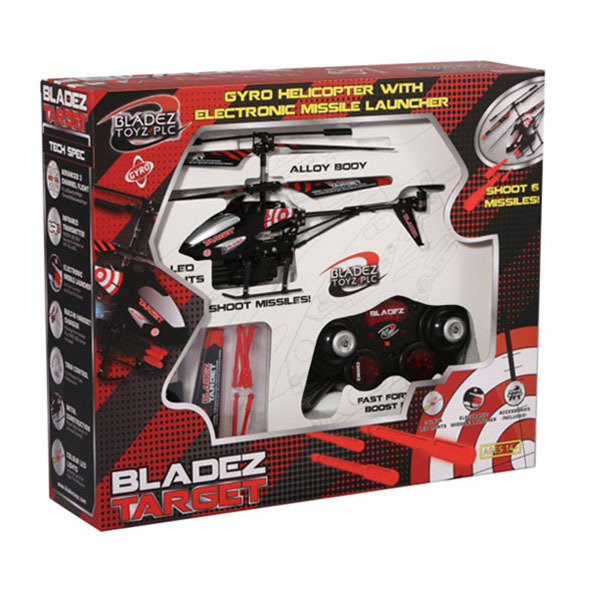 The Bladez Target is a Gyro R/C helicopter with a twist: it has a built in electronic missile launcher. 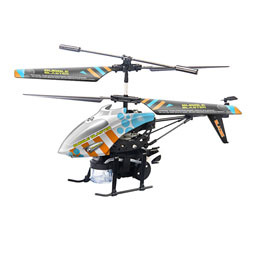 That's right, you can shoot 6 missiles from this snazzy copter as you fly it! If the missile function isn't exciting enough, the Bladez Target also offers advanced 3 channel flight, allowing you to fly up, down, left, right, forwards, backwards and hover perfectly in place. 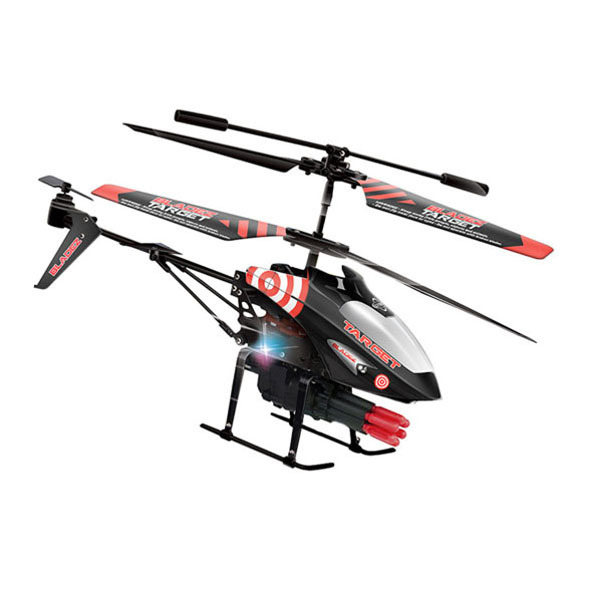 Aside from its abundance of hi-tech features, the helicopter also boasts an incredible red and black design. 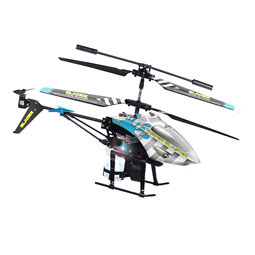 The colour scheme puts this RC copter a cut above the rest, especially when you factor in the built in LED lights, making flying at night even more fun!